>You can do it We can Help! It’s Home Improvement time at Casa De South St. So once again the hubby has convinced me to make a minor home decorating improvement. 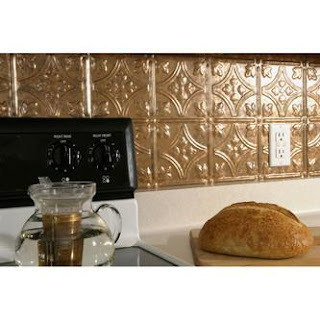 The picture above illustrates (minus the TACKY tea kettle, and loaf of bread) what the new backsplash in the kitchen will look like once we are finished ripping down the TACKY white tile that at one time long ago matched the floor (which we conveniently changed). So after or possibly even before dinner, we will begin the tear down. After the last couple days of relatives and wacko’s in the office I may need to let some aggression out and bang some tiles with a hammer. I’ll let ya know how it goes. Thats What Keeps em Comin Back for More! Life Is Such A Sweet Insanity. Rambling along in life… with a Stern point of view. What is WRONG with you, Steven Klapow?